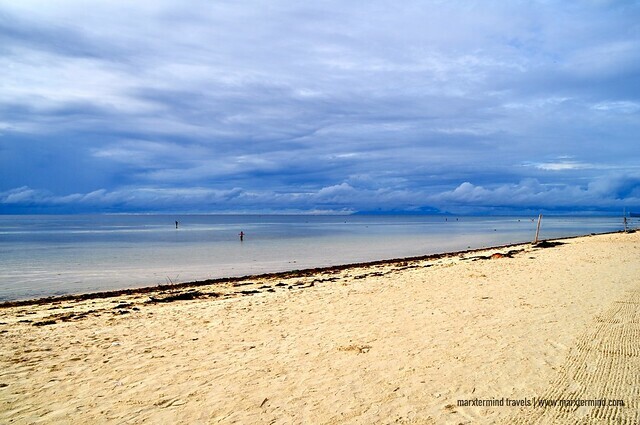 Bohol is a beautiful place to visit in the Philippines. It is known for its cone-shaped Chocolate Hills, heritage sites, white sand beaches and dive spots. 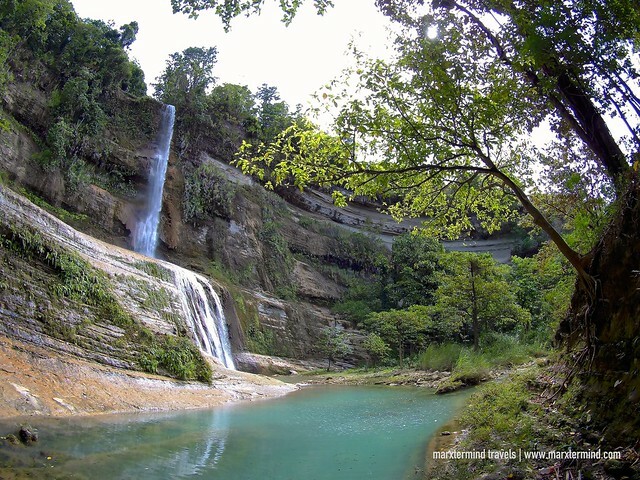 With these several tourist attractions, it is no doubt that Bohol is a well-loved destination. But in my fourth visit, I decided not to go to these usual tourist spots. My friends and I went to the eastern side and explored the towns of Anda and Candijay. Anda and Candijay are promising towns with several natural wonders to see. Anda has white sandy beaches and enchanting cave pools while Candijay has incredible rice terraces and hidden waterfalls. Both are great destinations if you like to have a different getaway in Bohol. How to go to Anda? Going to Anda is easy by taking a bus or van from Dao Terminal. You can reach the terminal by taking a tricycle from airport or pier. Bus fare to Anda costs around Php 100 while fare per person for van costs about Php 120. Travel time takes about two to three hours. Quinale Beach is the main attraction in Anda. It is a public beach with a long stretch of fine white sand and crystal clear water. The beach also has a breath-taking view of the sunset. But unfortunately, we didn’t see that because it was cloudy when we were there. Nevertheless, we still had a great time. We walked around the shoreline and got really amazed by the fine white sand. 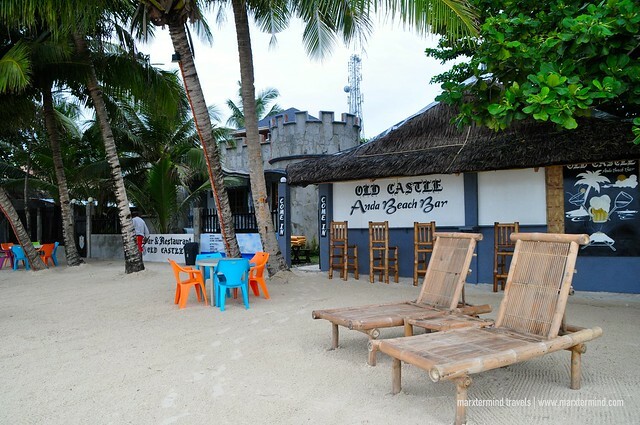 We stayed at Old Castle Resort for one night. It has a convenient location giving us an easy access to the beach. We stayed in a fan room that fits three persons. It has double bed and provided with an extra bed. The room was okay. There was nothing fancy about it. There’s also a restaurant in the resort but I didn’t find their food affordable. There are also other restaurants nearby that we found cheaper, so there’s no need to worry. 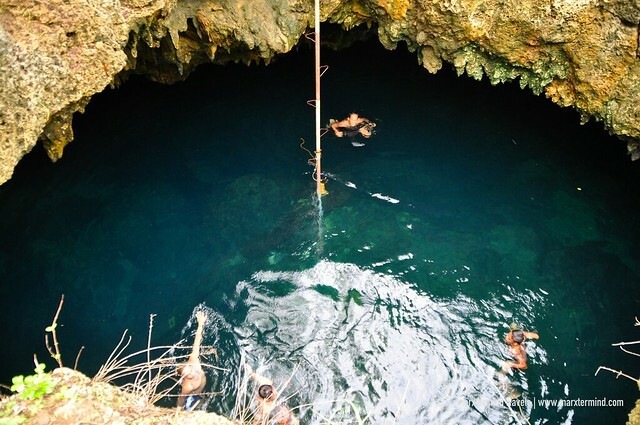 Another tourist attraction that we visited in Anda is the Cabagnow Cave Pool. It is an enchanting cave with a natural enclosed pool. The cave pool is said to be 25 feet deep. If you are feeling adventurous, you can dive in but you need a ladder to get out. We went here in our first day. We rode a multi-cab from the town centre. Our driver accompanied us to the cave pool since he offered to take us back to the town after. There were already some people when we arrived. There was already a ladder. Since we were here to try the pool, we dove into the water. It wasn’t easy floating for me. My first try was challenging. The locals told us to wear our slippers so it’ll be easy climbing up the ladder from the pool. My friends also tried the pool. The water was cold. We all enjoyed it. But it could be more fun if we brought some floaters so we wouldn’t be struggling swimming. How to go to Candijay? Before my friends and I went back to Tagbilaran, we dropped by the town of Candijay. 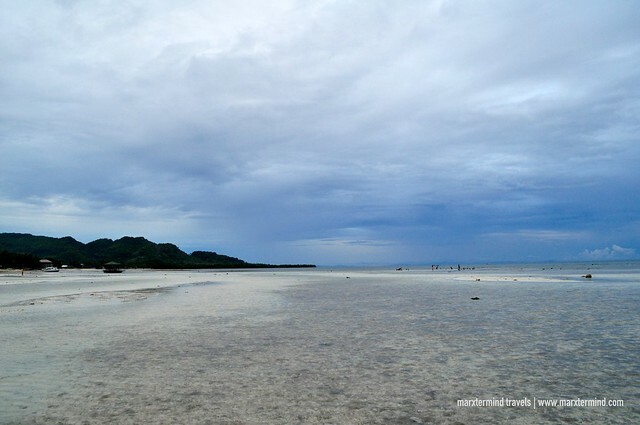 I learned that they also have some interesting places to see so I thought these would be nice additions to visit for our own version of different weekend getaway in Bohol. To go to Candijay, you can catch a van or bus in Dao Terminal that passes by the town. Asked the driver to drop you off at Lungsod Daan, Candijay Market. Bus fare per person is around Php 80 while van fare per person is around Php 120. Since we were already in Anda, we just took a multi-cab from the town going to the highway. Fare is about Php 20 each. From there we rode a bus. Fare is around Php 12 each. Motorcycle or habal-habal is the mode of transportation to get to Can-Umantad Falls. Rate starts from Php 180 to 200 per person. We hired two motorcycles for our group since we were three. It wasn’t comfortable riding because the motorcycle was a bit small for us. We had no choice but to bear with it unless we had extra money to pay for another. Can-Umantad Falls is the most iconic attraction of the town. The waterfalls is hidden. Getting there is quite an adventure. The trek is at least 30 minutes on steep concrete steps. It was challenging but once you reach the waterfalls, it’s worth the effort. The waterfall is enchanting and beautiful. The stunning waterfall is 60 feet high, which is said to be the tallest in the province. It has clean, clear and cold water that is very enticing. Taking a dip seemed enjoying but we were so lazy to change clothes. We also left our backpacks in the tourist centre. We only brough our cameras and phones with us. 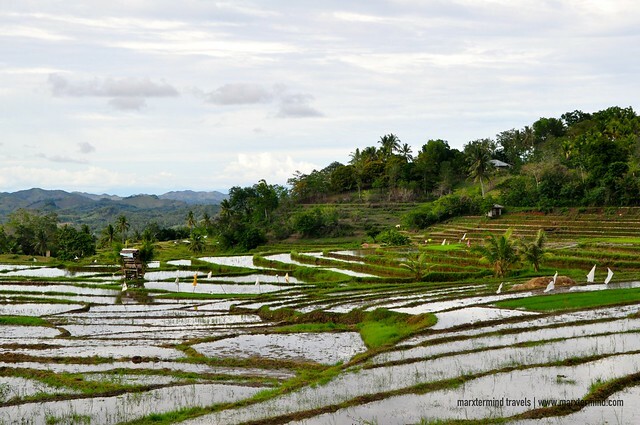 Not known to many, but Bohol also has rice terraces. These are found in the towns of Lila, Dimiao, Sierra Bullones, Jagna, and Candijay. In Candijay, the most picturesque is in Cadapdapan. It wasn’t a good timing though to see the rice terraces when we visited a few months back. It wasn’t that green when we pictured it. So after taking some photos, we left and went back to the highway. It was nice spending our weekend in Anda and Candijay. These towns are truly promising with interesting tourist spots and places for adventure and nature. We enjoyed the beach, the cave pool and the waterfalls. Truly, these are great tourist attractions to visit when looking for a different kind of getaway in Bohol.